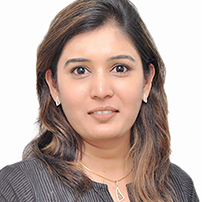 Director, Vivam Solid Waste Management Pvt Ltd.
She is actively aat10ciamd with various industrial hOU888 and Government officea. She is an Inspirational and strong-willed women entrepreneur. She became the Ideal of Waste Management inIndiabyjOining the sector in2010’8 when the feminine presence wu rareinthe induetry. She isa women who believe in short-cuts but at the same time there is no dearth of women wtlo are C011fldant, believe Inthemselves and ha\1’8 enormous flre Intheir bellies to tBke on the best Inthe businG$$ and beat themattheir owngame. Sheworks hardtoachieve it, nomatter if it requiresone to choose the odds for this option. She works towards it with full focus and dstermination. transportation, design, supply, erection, commissioning and operation of processing Plants, supply of road eweeping machines it the scope of work of VIVam. SeMe&sforwatertreaDnant arealsoofferedbyvtva.m andVlva.m IsdoingtreaDnant on Kund Qacks) in Varensi City. A new wing Skill development coui’$es in waste management are also run by Vivam which are looked after by her. Expertence and relations developed while wortdng In DeU1che and Yes bank as marketing executive halped inbusinesadevelopment ofVivam. Shewas member ofABVPincollagedaya.